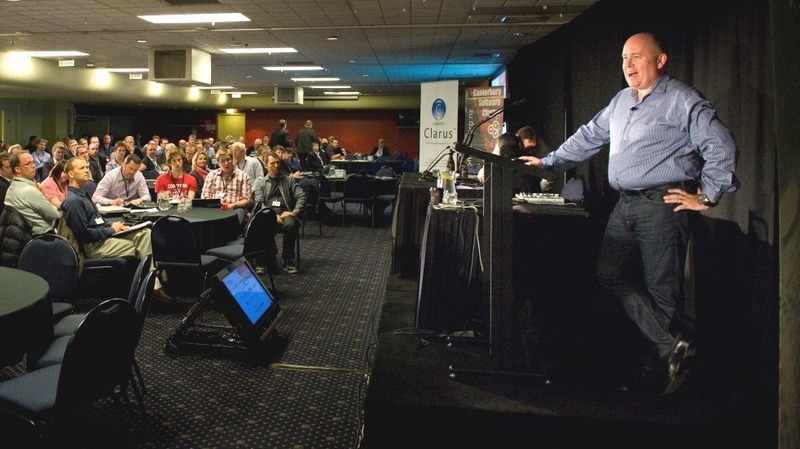 The Canterbury Software Cluster is the region’s leading ICT industry organisation and holds its annual Software Summit to inform, inspire and encourage networking and collaboration among its members. While the Summit has had a steady 10 year history of attracting Christchurch’s best and brightest, since Communicate IT took over the event management in 2011, it has moved into another stratosphere. Objectives: The Committee’s primary objectives for the annual Summit were to run a smooth and enjoyable event with up to 350 registrations, and provide value for sponsors and exhibitors. The event needed senior level speakers with experience on the global stage to deliver topical and engaging presentations. Results: Communicate IT worked closely with the Cluster Committee and sponsors to deliver a compelling event which attracted nearly 500 registrations in 2011, 528 in 2012 and 521 in 2013. The events generated extremely positive feedback from delegates, sponsors, exhibitors and speakers, and also received coverage in The Press, TechDay, Computerworld, the National Business Review and Idealog. How we did it: Communicate IT’s project management encompassed a move to a new venue at Addington Events Centre, coordination of audio visual requirements across three floors – including setting up live videoconference links to the US, managing multiple presentation streams and making content available online post-event. Speakers at the events included senior leaders from Google, Commonwealth Bank, Group Commerce, Icehouse, Wynyard Group, Tait Communications, Trigger Happy, VoucherMob, GreenButton, Xero, Orion Health, Vend, Carnival Labs, and more, as well as the Hon Steven Joyce, Minister of Science and Innovation. A media relations campaign, website content with online registration (using Eventbrite) and several waves of email invitations were features of the promotional campaign, as well as regular social media updates (LinkedIn, Facebook and Twitter).